Italian granilla glass is used to interpret these over-scaled pieces. 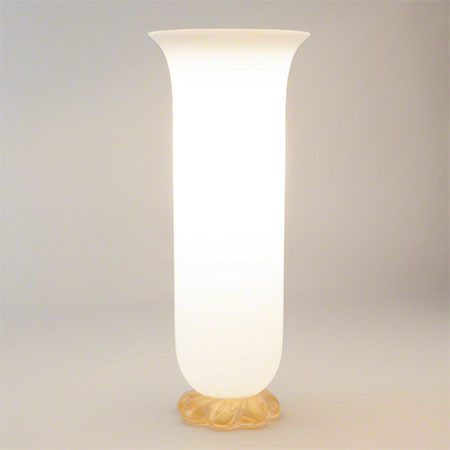 Bases are made of twisted golden glass. Holds a 60W “A” lamp bulb. 8′ clear cord, switch on cord.